Ready to catch Shiny Totodile in Pokemon Go for first January 2019 community day. 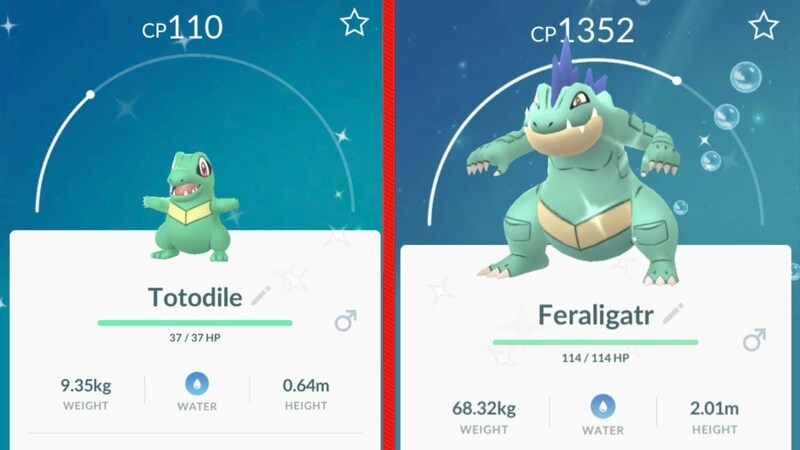 Pokemon Go added Shiny Totodile for community day. Many days we heard about 2019 January first community day event in Pokemon Go. Finally, now you can catch shiny Totodile during this event. 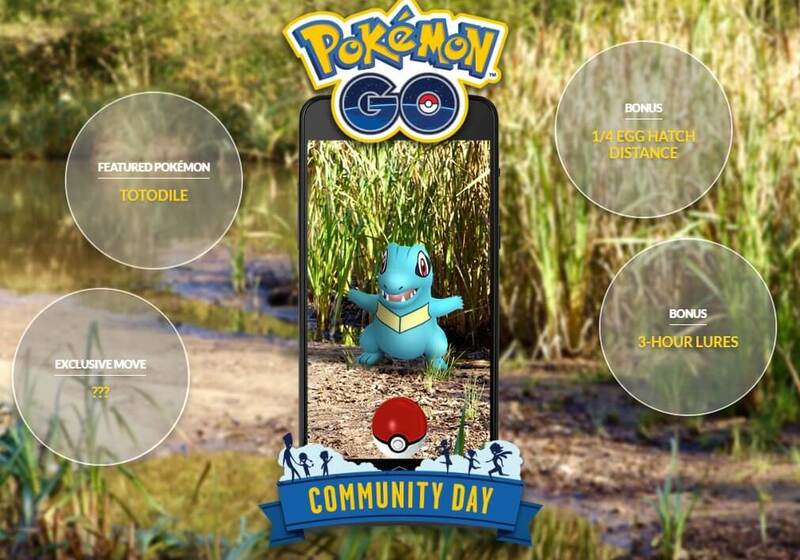 Pokemon Go is holding its first Community Day event today (or tomorrow if you live in Asia and Australia), with Totodile as its featured Pokemon. The brave Water-type Pokemon will spawn in mass numbers for a three-hour window during this event, the player can also benefiting by eggs that hatch at one-fourth of their ordinary distance requirement during this event. Since it's a Community Day, that means the player can chance catch other Shiny Pokemon. Players in Europe have confirmed that Shiny Totodile is available as a part of the present event. Shiny Pokemon have trade shading than the other Pokemon are quite rare. In any case, Shiny types of the included Pokemon are more common during community day event, so today is your chance to catch shiny pokemon many as you can. 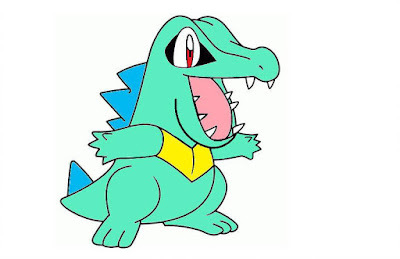 When you see the picture of Shiny Totodile that was posted in the twitter, a Shiny Totodile has green skin as opposed to its standard blue tone and blue edges on its back as opposed to a red one. It's a perfect time to catch a new shiny Totodile. The best way to catch a Shiny Totodile is to go and find nearer PokeStops or go to and organized Pokemon Go Community Day gathering. PokeStops can be Lures for three hours during this event, which will increase the number of Pokemon spawns...and the chance to increase more Totodile. The more Totodile you encounter, the more increase your chances of finding a Shiny Totodile, so the key is to be in an area where lots of Pokemon ordinarily spawns. Players should make sure that they involve at least one Totodile into Feraligatr in this community day event. Any Feraligatr envolved during this event will learn the specific Community Day move that is Hydro Cannon, which makes them more powerful during in battle. Players in North and South America can be a part of Community Day from 2 PM to 5 PM ET already started, while players in Asia, Australia, and the Asia-Pacific region will have their Community Day on January 13ths means today from 12 PM to 3 PM JST.